CHANDELIER TREE. CHANDELIER TREE. CHANDELIER TREE. So. Six months ago a neighbor & videographer. Colin Kennedy. Had the courage knock on my door. 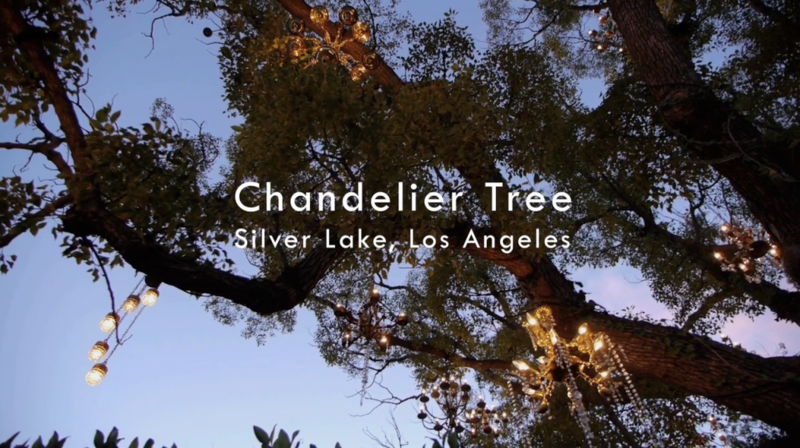 & inquire about documenting The Chandelier Tree. He had been walking around it for years & felt compelled to do a little piece on it. He seemed serious enough & focused & astute. So I said of course. We did a quick interview & he danced around the tree w/ a lens. With a wonderful little piece of video on the tree. I’m a little camera shy & its strange looking at myself. This is the best & most complete documentary. Featuring a project which is quite dear to myself. All who have visited this little slice of city heaven. & to the neighborhood of Silverlake.